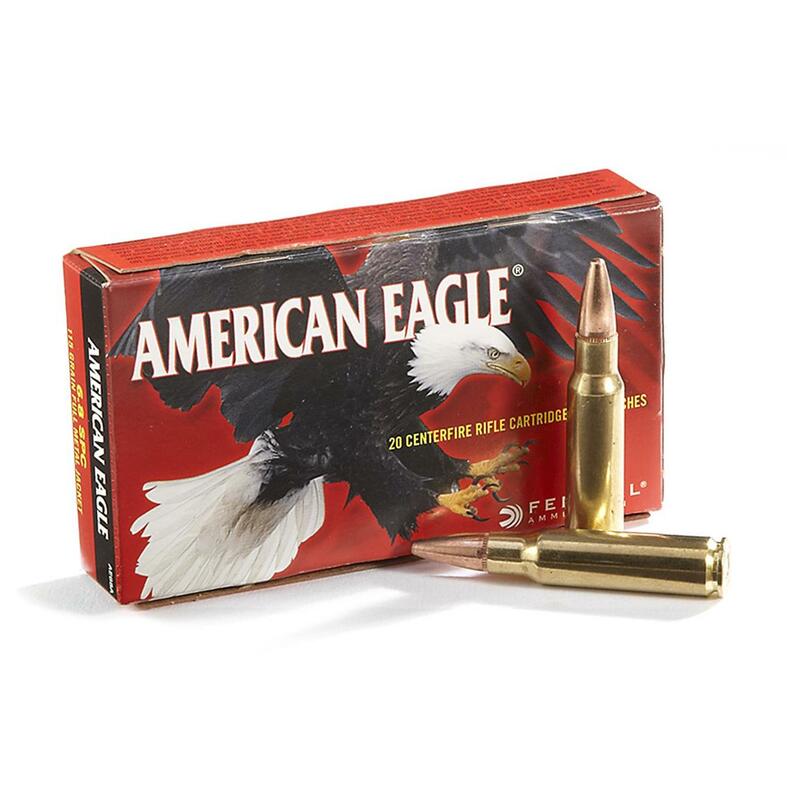 American Eagle® 6.8 SPC rounds are ideal for precision practice and an affordable option for the target board. 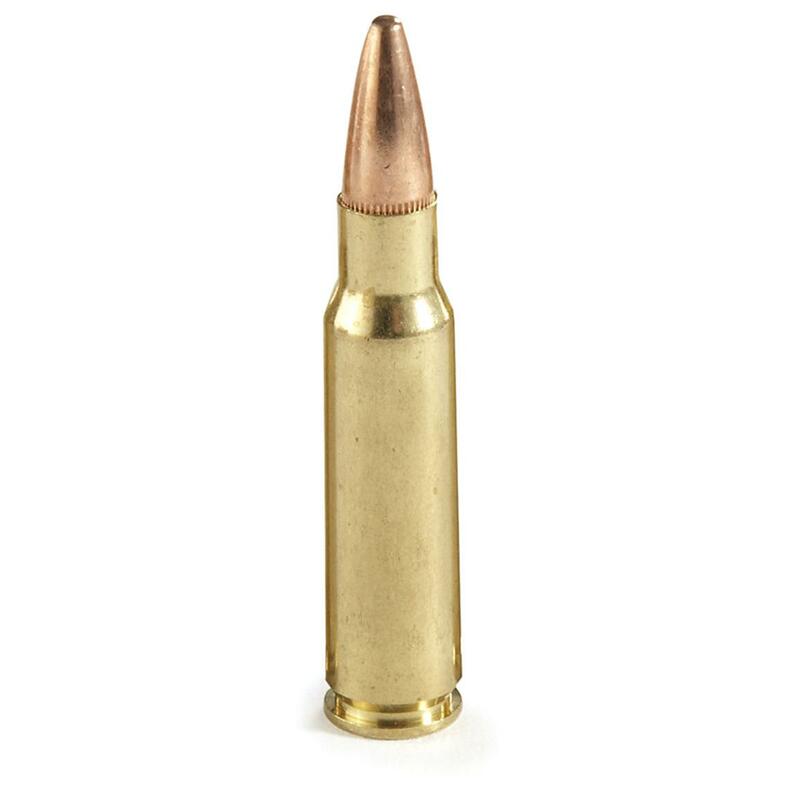 The full metal jacket bullet is a good choice for range practice and reducing fouling in the barrel. The jacket extends from the nose to the base, preventing expansion and barrel leading. Federal American Eagle 6.8 Remington SPC Ammo, FMJ, 115 Grain, 20 Rounds is rated 5.0 out of 5 by 6. Rated 5 out of 5 by Sig p229 from Accurate Target Ammo Accurate ammo in my RRA 6.8 SPCII with a 16” 1:10 barrel. No failures and fairly clean. I was able to keep a nice 2.5” group at 300yds with a 8mph wind. Thanks Sportsman Guide. Rated 5 out of 5 by Seagul from Excellent value These 6.8 SPC functioned flawlessly in a brand new gun. While sighting in it put a few bullets through the same hole. Pretty nice stuff. Seemed to fire quite cleanly also. Rated 5 out of 5 by Tom S from Quality ammo at good price Verygood quality, straight shooting ammo. Rated 5 out of 5 by Motown Marty from Good groupings Bought some of this to zero in my scope before hog hunting, and also for cheap plinking. Had <1.5" grouping at 100 yards using just a 4x scope. No problem cycling through my mags either. Would definitely recommend as a quality ammo for target practice without breaking the bank. Goes the distance with accuracy and power!